A sauce for a cause, Soldier Sauce gives by donating a percentage of each sale to a non-profit that helps military families adjust back into the community after service. Luckily, you get a pretty great sauce to go along with doing good. This bottle of Soldier Sauce was sent to me by its creator, Petra Frazier. Petra's recipe for barbecue sauce has been passed down from her mother, who made it often in their home outside of Toronto, Canada. 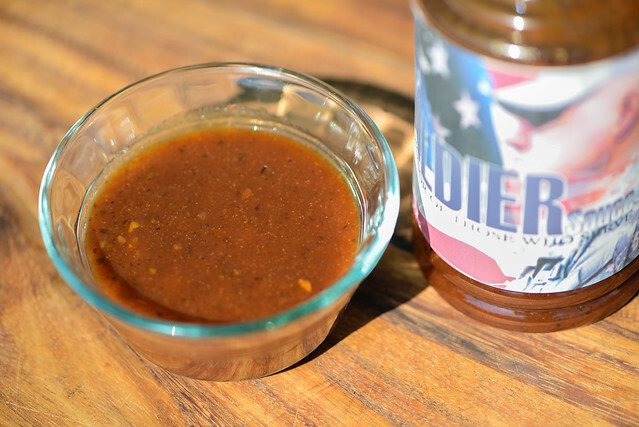 Petra brought the recipe stateside when she moved to Massachusetts, where it became known lovingly as Soldier Sauce due to her husband's military background. In 2014, Petra made the decision to start bottling and selling the sauce as a way to give back to the military community by donating 10% of all sales to Project Sanctuary, an organization that provides therapeutic retreats for returning military personnel and their families to aid in the transition back into everyday life. The sauce was so well received, that it gave Petra the nudge to expand her sauce lineup to also include a hot sauce, marinade, and two rubs. The sauce has a well balanced, mellow vinegary and tomato aroma. There a lot of depth behind those two upfront components, with the distinctly complex Worcestershire mixing with the sharpness of mustard. There's only a mild sweetness to the smell, which weighs more heavily on spices, giving the sauce earthy and garlicky notes and a hint of heat as well. This rusty orange sauce is semi-transparent, which lets you easily see lots of small and large specs of peppers and other spices. Along with the spices, there are chunks of onion in varying sizes that add a bit of texture. 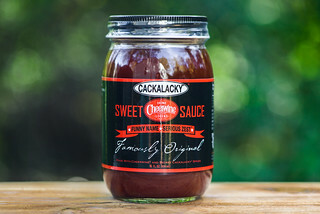 It's medium-thin consistency has the sauce falling in a quick, chunky pour from a spoon that ends with a few slow, final drops and leaves a medium, transparent coating left clinging to the silverware. The sauce starts of very neutral with little sweetness and a mild tang and tomato fruitiness. 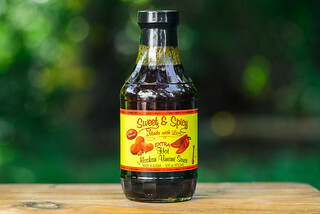 The later two flavors amp up as the sauce settles on the tongue and begin to mix with very savory components like soy sauce and Worcestershire. From the outset, the sauce has an earthy quality that gets stronger as it lingers, then that spice layers in a nice heat right at the end. There are bits of veggies that add crunch and texture, and based on their mild flavor, are most likely finely chopped onion. The sauce coated the chicken in an even, medium-thick layer, but suffered some burn off over indirect heat. The sauce then almost completely disappeared after I moved the chicken over direct heat, requiring me to give it a final brushing and a little extra time on the cool side of the grill at the end to have a decent coating of sauce adhered for taste testing. After being cooked, the sauce turned thick and sticky. The sweetness was amped up, which added an extra dimension to the vinegar and tomato elements that persisted very well. The texture from the onions also remained intact, adding pleasing crunchy bits to the chicken here and there. The earthy spice was also in play, but a bit more subdued, as was the heat, which did build up nicely after subsequent bites. I'm a non-profiteer in my day job, and I've always thought I could do more with my barbecue if I could find a way to combine my love for grilling and desire to work for a good cause. That has left Soldier Sauce as an inspiration to me. I commend Petra for her efforts in giving to an organization she believes in, and luckily she has created a solid sauce to back those efforts. 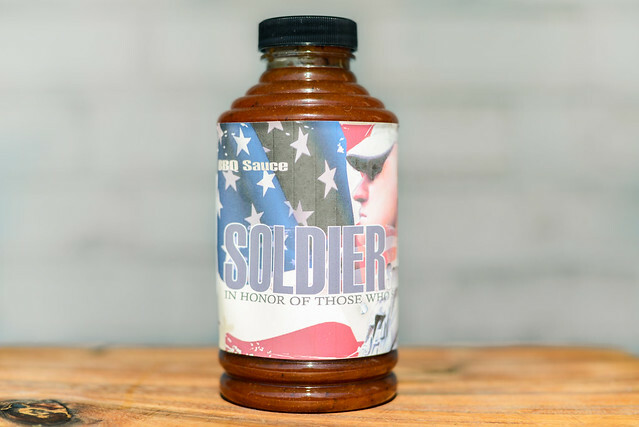 Soldier Sauce definitely presents a unique flavor profile that's complex and very pleasing both out of the jar and after being cooked. Considering the problems with the sauce burning off over higher heats, I think Soldier Sauce is best used as a condiment or slathered on items cooking at lower temperatures, like ribs or pulled pork. 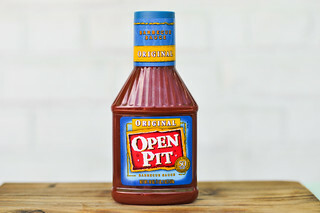 Best sauce on the market! My wife and I have used this on fish, chicken and burgers. 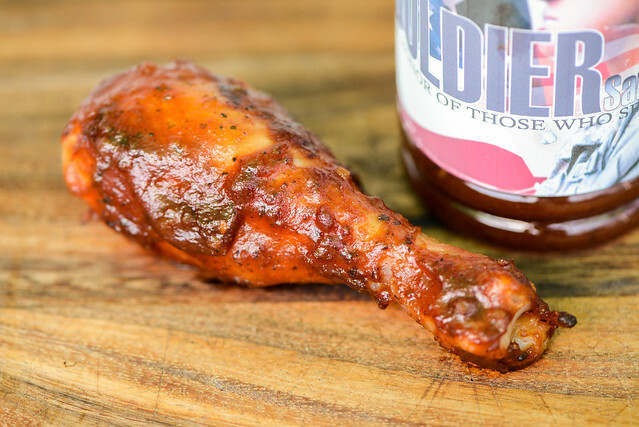 If you haven't used Soldier Sauce then you haven't used BBQ sauce. Much love for Petra for using bbq to do some good! The ingredient list is pretty odd...Red Hot and Steak Sauce? I will keep my eyes out for a bottle of Soldier Sauce.